We used your site and a coupon, and saved $50 on one script for my husband. It directed us to the locations with the best prices and offered the coupon online. It was so easy! It has been and can be helpful for research and potential discounts. On Medicare Part D I don't have much need. I have always relied on mail order. Before I had Medicare I used Costco Mail Order Pharmacy and got some drugs from India.. Even at this point there are a few drugs that cheaper, and in one case far cheaper, to get from India. Thank you for the kind review, Lyle! We're glad to hear that the pharmacies we verify and monitor were able to help you. We hope you find our future research helpful, as we continue to search for the safest ways people can cut costs on their prescription medications. They have been very good, and very informative. I would recommend them to anyone that has an expensive medication to take. It has saved me thousands of dollars. Hi Sheila -- We're glad to hear the information we provide helped you save significantly on your medication. Thanks for the kind review! Hi Charles -- Thank you so much for the nice review! We're happy to hear you got the information needed to make wise choices regarding your health and finances. The medication I purchased has no generic available and is not covered by my insurance. Even if I had purchased it through GoodRx in the US, it would have cost 3 times as much!! Hi Brad -- We're happy to hear you were able to save money by using one of the pharmacies we verify and monitor. Thank you for the nice review! I wa hoping for notifications or alerts. What I got was crickets. What did I give my email to some robot? Hi Lexie -- We see you as a subscriber in our database, but with no price alerts set up. Please log in to your My PharmacyChecker account here: https://www.pharmacychecker.com/mypharmacychecker/ to manage price alerts for your prescription medications. Price Alerts allow consumers to sign up for email updates from PharmacyChecker alerting you of the latest prices for your chosen medications either monthly or every 90 days. Search for your medication on PharmacyChecker.com and sign up for Price Alerts on the price comparison pages. You can message or call us directly for assistance in creating and managing your account. Received my perscription in a very timely manner even though it was during the holidays. Great price. Very pleased with my experience. Hi Ethel -- We're glad to hear you had a good experience with one of the pharmacies we verify and monitor. Thank you for the nice review! Used your site for medical information only. My brother in Malaysia has a lung condition that need very expensive drugs. Wanted to know price comparisons for the drugs. Thank you. Thank you for the nice review, Krishnan! We're happy you received the information you needed. I found a bad pharmacy on your website. They fed me gibberish just to have me buying. I managed to get a refund only because I paid with Paypal otherwise I'd have lost the money. Once emailed pharmacychecker about the e-pharmacy got no answer. All pharmacies that we verify and monitor are checked for online pharmacy safety standards, including licensure and prescription requirement. Please let us know which pharmacy gave you issues and provide more detail so we can investigate further. Unfortunately, we have no record that you contacted us. Please comment here, message us, or email info@pharmacychecker.com. Helped me when I thought there was no hope to get my needed meds. Thank God for Pharm Checker. I stumbled upon this website while looking for a resolution to obtain medications that I couldn't afford. This enabled me to find a pathway to a reasonable way to purchase the meds I am prescribed. We're grateful to hear we helped you find an affordable way to get your much-needed medication, Dee. Thank you for the kind review! Thank you for the great review, David! We're happy to have helped. We're so happy to hear of your positive experience, Joan. Thank you so much for sharing! Arrived. no problems. Easy to place order. I called and they answered all of my questions. I was previously using Online Pharmacies Canada, but could not longer place orders with them as they required a non-family member to write the script that I have been using for 10 years, and I didn't have the time to find a new provider to write the script for a non-controlled substance script. We're glad you had a positive experience, Sarah. Thanks for the nice review! We're happy you had a smooth experience, James. Thank you for the kind review! We're happy we could help, Gregory! Thank you for the nice review. excellant experience all around with all the information that I needed to find the prescriptions.There is nothing more to say. Thank you for the kind review, Stuart! We're happy you found our information useful. 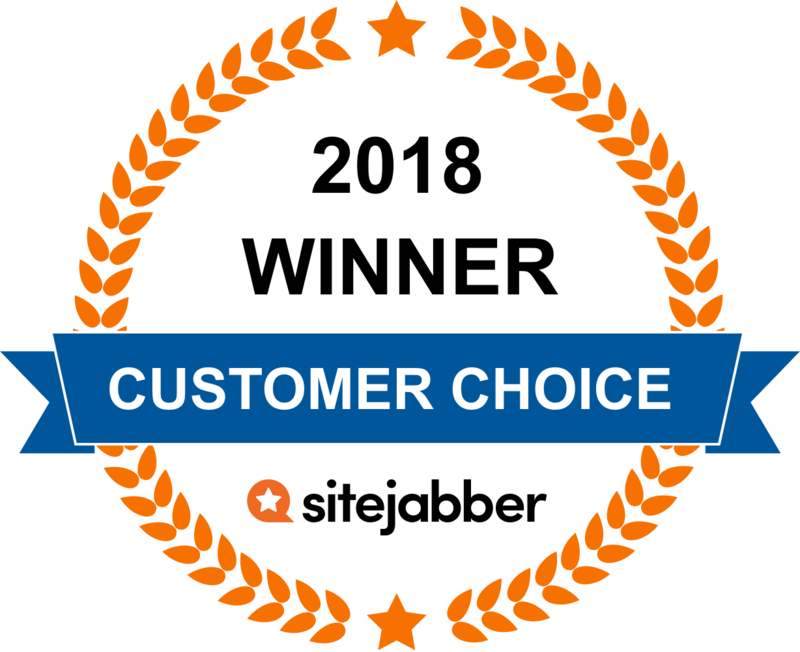 Completely satisfied with the customer service representative, accuracy, delivery time and price. Couldn't be happier. Thank you, Charles. We're grateful you shared your experience using PharmacyChecker.com! The site is extremely easy to use and very, very helpful. Thank you, Nancy! We're happy to hear that. Gave me opportunity & confidence to try Canadian pharm for otherwise prohibitively expensive asthma med. Hi, Charles -- Thanks for the nice shout out. We do want to let you know that the opportunity to buy from pharmacies in Canada is not one that we bring to the table. The internet is full of websites that sell medication. What we do is verify qualified international online pharmacies, many that are based in Canada and identify those safe international online pharmacies on our website. We are so glad that our information has helped you better afford your medication. Thanks- you have a great web site and always check you first before buying from the Company I use in Canada. This is first rate site, found as a Consumer's Reports "other resources" link. Go to this site to look up available prices on prescription drugs, both re-imported brand name and made-in-India (by Ranbaxy, Cipla, Lupin and the many other fine pharmaceutical houses there). Not listed here are the FREE metformin and common antibiotics provided at Publix grocery stores. Also not listed is www.healthwarehouse.com, which has some of the best prices in the US on generics. Avoid using pharmacydiscountnetwork.com, which will lead you to sources having astronomical prices. See my separate review of this outfit. Also do not go near Medicare D, the well obfuscated scam crafted by Billy Tauzin, revolving door former congressman from Louisiana. There is a lot of dis-information, probably coming from BigPharma, on the internet regarding drugs from abroad. A red flag that you are reading dis-information is the word combination "India and China". Current enforcement allows US patients with proper doctor prescriptions to have up to a year's worth of drugs sent to them via common carrier from abroad, provided those drugs are not for resale. Tip for consumers: Current rules allow one to obtain 100 days worth of each drug at a time for personal use (not the year's worth as stated in my original review). That causes our family no problem. With regard to pharmacies strictly within the US, a recent Consumer Reports article compares prices. The lowest prices, by far, were at Healthwarehouse and Costco. By comparison CVS, Rite Aid and Walgreens had prices which were up to an order of magnitude higher. Lenalidomide is needed to manage the multiple myeloma of a 92 year old female. What is the least expensive source for the uninsured? Revlimid (Lenalidomide) is used to treat people with multiple myeloma. It works by helping the body kill abnormal cells in the bone marrow and produce normal blood cells. PharmacyChecker.com offers a search tool for patient assistance programs. Here is a link to the patient assistance program offered by Celgene, the manufacturer of Revlimid: https://www.pharmacychecker.com/patient-assistance-programs/revlimid/ With the patient assistance program, if you have commercial insurance, you may qualify for the Celgene Commercial Co-pay Program. If you qualify, your out-of-pocket co-pay responsibility will be $25 or less for your prescribed Celgene medicine. If you don't currently have any health insurance or enough insurance to cover the cost of your medication, you may also qualify for free Celgene medication with the assistance program. I have recently placed an order from www.offshorecheapmeds.com Is it a legal pharmacy? The website offshorecheapmeds.com is verified by PharmacyChecker.com, which means that it meets our company standards for online pharmacy practice: see https://www.pharmacychecker.com/safe-online-pharmacies-verification-program.asp. The physical pharmacy in India that fills orders placed on this online pharmacy is licensed and legal and inspected by our staff. It also requires valid prescriptions. If you import a medication from India, then, technically, you may be violating federal importation laws, but the FDA has stated that individuals are not prosecuted for such personal quantity imports. For further reading, please see: https://www.pharmacychecker.com/ask-pc/are-indian-pharmacies-really-safe-the-prices-are-so-much-lower/. Hi Marcia, Brand name drugs are subject to review by the Canadian Patent Review Board so that prices are not excessive. They use what is called reference pricing to find a fair price. Specifically, the Board chooses the median price of the following list of countries: France, Germany, Italy, Sweden, Switzerland, the United Kingdom and the USA. Source: http://www.pmprb-cepmb.gc.ca/about-us/frequently-asked-questions#1391. Thats the reason the same drugs sold here are much cheaper in Canada. Generic drugs are not regulated this way in Canada, which is one of the reasons generics are often lower in the U.S. Canadas prices for brand drugs are almost always lower than in the U.S. However, its common for other countries to have even lower prices than in Canada, because their laws keep prices even lower. As you can see in our press release(https://www.pharmacychecker.com/news/70-percent-of-brand-name-drugs-are-imported-cost-87-percent-less-in-canada.asp) , you can often find popular brand name drugs for up to 87% less in Canada and for as much as 97% less in other countries. You can compare drug prices available at licensed pharmacies globally on PharmacyChecker.com. I'm not sure which drug you're referring to specifically in your example. If you could provide additional information I would be glad to help. Please go to this address: http://www.pharmacychecker.com/brand/januvia-prices Select the strength you're looking for, then click "Search U.S. Local Pharmacy Pricing" and enter your zip code to see discounted pricing. You can also search for prices from verified international online pharmacies. Questions? Get answers from the PharmacyChecker staff and other customers. PharmacyChecker.com (www.pharmacychecker.com) is the only independent company that verifies U.S. pharmacies as well as Canadian pharmacies and international online pharmacies and compares prescription drug prices. Our verifications and price comparisons have been referenced by AARP Magazine, the New York Times, the Wall Street Journal, and many others. We were formed in 2002 when our founder, Tod Cooperman, M.D., saw that increasing numbers of Americans were looking on the Internet to save money on medication but lacked information to distinguish reputable pharmacies from rogues and a way to easily find the best drug prices. Since that time, PharmacyChecker.com has been continually checking the credentials and prices of online pharmacies in the U.S. and worldwide and been become an indispensible lifeline to Americans seeking affordable medication. PharmacyChecker helps consumers find the lowest prices on prescription medication among licensed U.S. and international pharmacies. We are the only independent company that verifies international online pharmacies and compares prescription drug prices. We were formed in 2002 when our founder, Tod Cooperman, M.D., saw that increasing numbers of Americans were looking on the Internet to save money on medication but did not have adequate information to protect their health. Our verifications and price comparisons have been referenced by AARP Magazine, the New York Times, the Wall Street Journal, and many others. We are a stakeholder in the online, consumer-driven healthcare community, seeking a safe Internet environment that promotes innovation and new business models that serve the public health.